Long gone are the days where we have to finish everything on our dinner plate in order to gorge on dessert. Now we can simply skip it altogether and go straight into a sugar-glazed euphoria. With so many designated dessert cafes in our candy-coated city, we urge you to put on those stretchy pants and get ready to become the Bruce Bogtrotter you were destined to be. 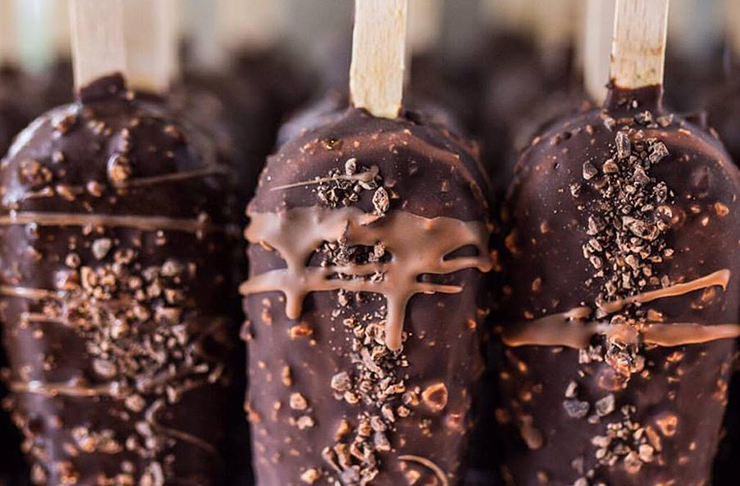 Here are the best places to go for dessert in Auckland. 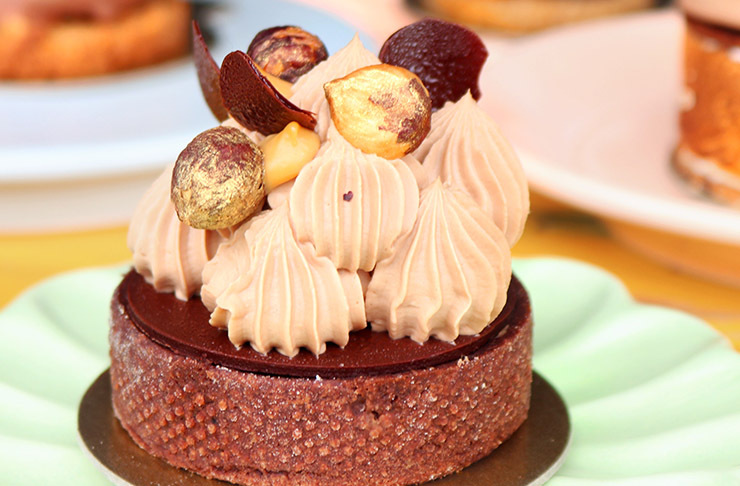 Serving up premium quality French pastries and petit-gateaux' on Auckland’s waterfront is La Petite Fourchette. From morning to the late hours of the afternoon, La Petite Fourchette constantly create magic with butter and sugar as their main tools. Renowned for their mille-feuille, the thousand layer crispy and buttery pastry is slathered with rich caramel and filled with the freshest cream. Don’t hold back and grab a bag of the cream-filled mini-choux pastries waiting for you at the counter—they’re coated with thick sugar crystals and you won’t regret it. Going strong for more 10 years now, a visit to Giapo is and Auckland rite of passage. Completely standing out from the crowd with their blind date-style of service, buyers don’t actually get to see their choice until the big reveal at the end. Relying on preferences and small tasters, the final result is a surprise and a stellar one at that. With culinary ice-cream genius Giapo behind the scenes, expect flavours to be bold, unique, always ahead of the game and nothing like you have ever experienced. If you’re feeling indulgent and sophisticated, forget ordering the second cheapest wine on the menu and instead put that hard-earned money to a better, more delicious use. Tucked away down a tiny, dimly-lit alley in Britomart lies the small yet delectable dessert destination of Milse. Enter this intimate setting and you'll be greeted with glass cabinets of intricate and delicate macarons and chocolates that boast some of the most interesting and incredible flavour combinations. Take a seat to discover the delights of the a la carte and degustation menu, featuring the likes of the apple, blue cheese crème brulee. 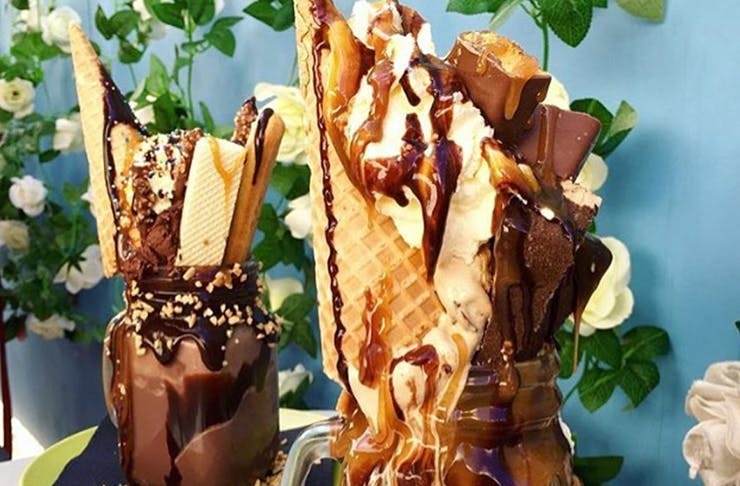 We all remember the days when our Instagram feeds were clogged up with photos of crazy freakshakes. The jars of milkshakes with copious amounts of ice-cream and toppings put Crunch Tower Dessert and Drink on the map but their dessert menu offers more than just epic drinks. The Hong Kong-style egg waffles are the underdog at this dessert café. The waffles have a crispy exterior and the insides are airy and fluffy. The waffles are topped with scoops of ice-cream and toppings of your choice and a heavenly drizzle of melted chocolate. Speaking of chocolate, don't miss House of Chocolate Dessert Café. North Shore locals consider themselves blessed to not have to drive across the bridge for some of the most scrumptious desserts, cakes and chocolates in Auckland. As the name suggests, expect to find lashings and lashings of chocolate a-plenty, cocoa-infused cakes and individual and perfectly glossy chocolate truffles to take home later. With that ‘just like home’ warming atmosphere, grab yourself a mocha and order a brownie ice-cream sandwich. The fudgy brownie is sliced in half to act as a bun and filled with ice cream in your flavour of choice and we recommend the roasted white chocolate. As if one teeth-achingly sweet Miann store wasn’t enough for Aucklanders, they’ve created a second and third for all of our cravings and desires. 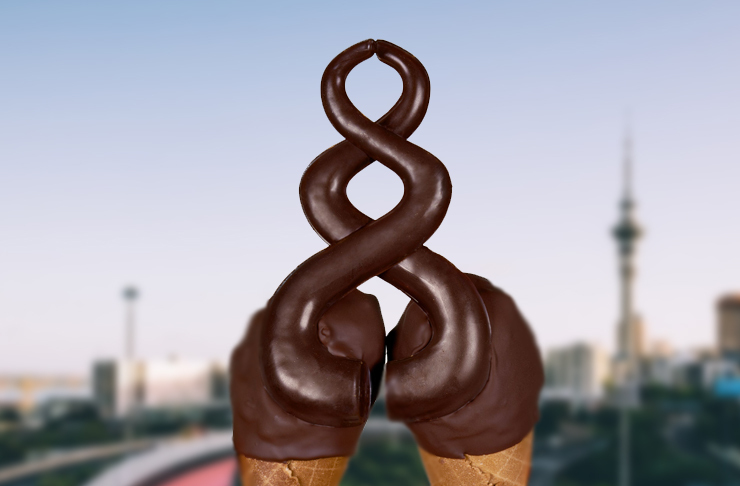 With Fort Street, Britomart and Morningside locations to choose from, getting your sugar fix couldn’t be easier. All three boast an eye-catching cabinet full of macarons and bonbons, we simply can’t look past the gelato fridge featuring the baklava flavour. At the Fort Street and Morningside stores, expect to indulge in an extensive menu focused on freshly made waffles, the best crème brulee in town, delicate pastries and petit gateaux or, nab a seat in Takutai Square at the Britomart store and have trouble choosing just one of the eight hot chocolates on offer. Located on the ever-bustling K ‘Road, away from the op shops and shish bars, you’ll find the Food Workshop. With large, yellow neon lights producing the word ‘Moustache’, you know you’ve stumbled into the right place. 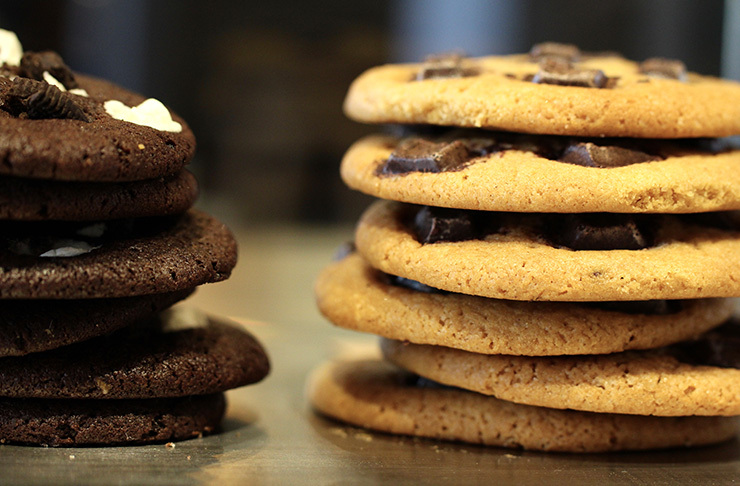 Set amongst an Argentinian grill and a popcorn shop, Auckland’s best and only cookie bar takes its spot. Moustache has been serving up their tasty morsels to sweet-toothed locals for a long time and, now with a permanent place to call home, punters can pull up a pew, order in a freshly baked cookie and coffee and watch the masters craft these delicious bites in the open, on-site kitchen. Staying true to their name, The Pie Piper whips up the best pies in town ranging from pumpkin, coconut cream to our favourite, rocky road. Each of their pies offers a different experience but none of them can trump the rocky road. The crust is crushed up double chocolate cookies and it’s filled with sweet, indulgent chocolate ganache and rich caramel swirls. 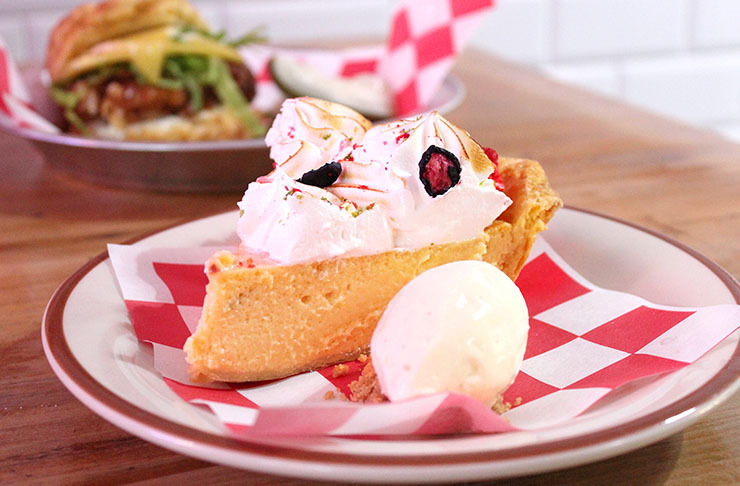 The pie is topped with whipped and torched meringue and is pure deliciousness. The Pie Piper is also home to Doornuts and it would be a crime to walk out without trying a doorfle—a cross between a doughnut and a waffle. This renowned Parnell institution looks like your regular quaint Kiwi villa, but upon closer inspection, you’ll discover the Chocolate Boutique Cafe. The smell alone is enough to tempt you inside and trust us, you won’t regret straying off your path. With an emphasis on—you guessed it—chocolate, expect to find more than 200 New Zealand varieties of the brown goodness among gift hampers, baskets and a cafe menu fit for Willy Wonka. Chocolate Boutique Café keep things humble and offer desserts that take you on a trip down memory lane. Classic chocolate mud cakes, brownies and chocolate ice cream are all things that we are familiar with and love. Don’t worry if you can’t decide, simply order one or three things and use your indecisiveness as a good excuse to visit the weekend after. If sweet-smelling, freshly-baked pastries aren’t enough to wake you from your walk to work slumber, we don’t know what will. 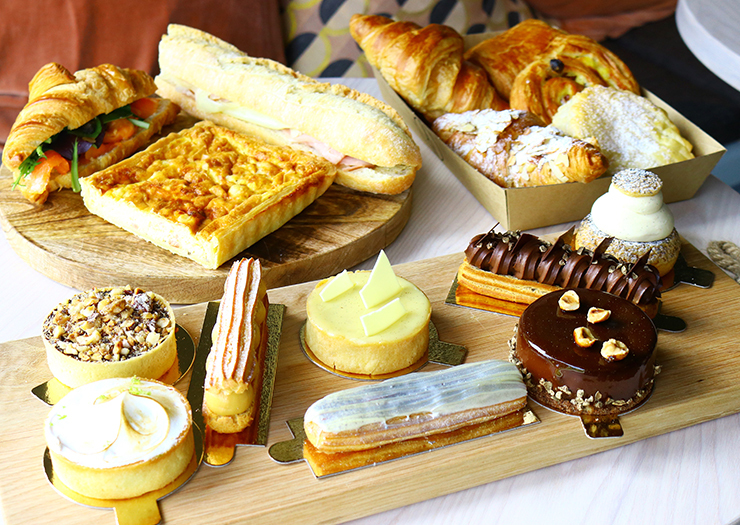 Behind glass doors and home to all your pastry and sweet treat needs is Parnell’s very own Parisian-inspired, Patisserie Vaniye. Mastering the classics such as the eclair, mille-feuille and all-butter croissant, we can already feel our jeans tightening. With a cabinet stocked with impeccably presented macarons, friands and petits fours, sweet treats have never looked better.